Tobermore’s Mayfair paving range with natural granite aggregates is now available with EasyClean - integrated stain-resistant technology that repels and protects against dirt and stains. Tobermore’s EasyClean is a new concept for the modern home and is the first paving product of its kind to be produced in the UK. However, it is a proven technology which has been used extensively in paving products across Europe and the USA for the past 20 years. EasyClean paving slabs are treated with stain-resistant technology during the manufacturing process allowing for built-in protection. The stain-resistant technology prevents spills from penetrating the surface of the slab, allowing them to be wiped away with ease. 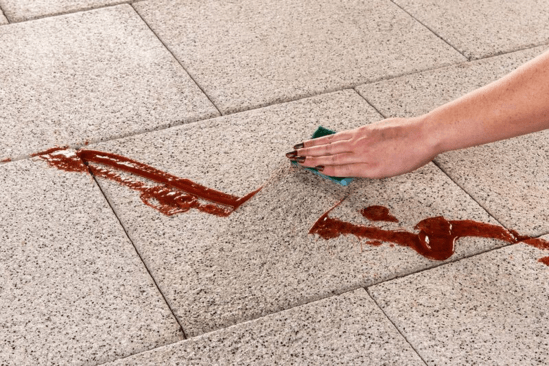 As well as protecting against stains, EasyClean takes the work out of caring for paving, allowing you to spend more time enjoying your outdoor space and less time cleaning. 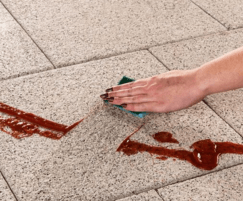 Caring for EasyClean paving is a straightforward process as its less absorbent surface allows for dirt and debris to be washed away without the need for vigorous scrubbing or power-hosing. EasyClean paving stays looking fresher for longer and is less susceptible to weathering, moss and greening than traditional paving, so you won’t have to clean it as often. To find your nearest stockist please click 'Visit website' opposite, or call Tobermore’s sales office on 0844 800 5736.